Learn more about applications that benefit from stereo display and applications that benefit from fully integrated virtual reality with the addition of head and wand tracking. Learn more about applications that benefit from very high resolution display. 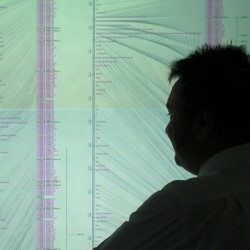 Visbox provides scalable display solutions that allow incredible amounts of data to be seen at once. 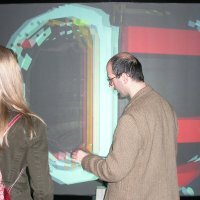 The Hybrid Immersive Visualization Environment (H.I.V.E.) Lab at Tennessee Tech features a VisCube C4. 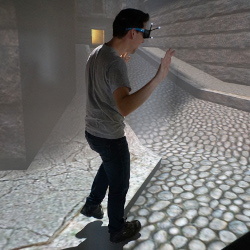 The lab houses researchers, developers, artists, and students, all working on the application of virtual reality technologies to the problems of communication, conservation, and training. The Pfizer Research facility at MIT in Cambridge, Massachusetts features a VisCube C4-T4 CAVE. 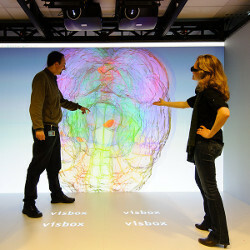 The system is used to visualize and explore 3D data to allow for a better understanding of brain circuitry. The VisCube C4-T4 is a high resolution CAVE system, featuring 12 active stereo projectors and ART optical tracking. 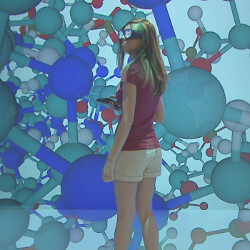 The Virginia Tech Visionarium features a VisCube C4-T2. The focus of the center is the adoption of supercomputing and visual analysis tools to advance science, engineering, and education. 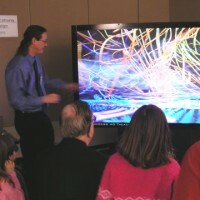 The center is a central resource, working with campus researchers to apply advanced visualization technology. The Center for Scientific Visualization at Tufts University provides a VisWall-4K-SRX system as a central resource on campus for use in a variety of research and education projects. The system offers unparalleled image quality with native 4K resolution projectors (4096×2160!) and immersive 3D stereo display capability on a 14′ wide screen. The NPRE department at the University of Illinois at Urbana-Champaign is using a VisBox-SX12 system to develop virtual models of nuclear power plants. 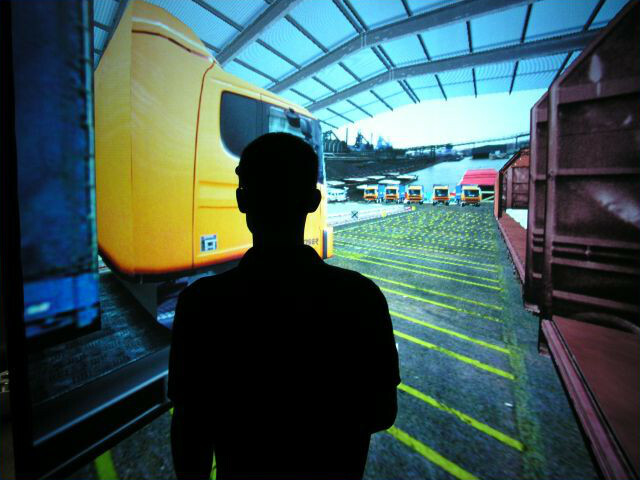 These models benefit from the large immersive 3D display capability of the system, allowing researchers to visualize a variety of theoretical and applied concepts in nuclear engineering and to experiment with virtual training. 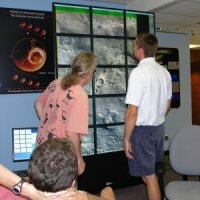 The Lunar and Planetary Lab (LPL) at the University of Arizona uses two VisWall-LCD-15UX systems to showcase high resolution images that are captured by the HiRISE instrument on board the Mars Reconnaissance Orbiter (MRO). The images that are acquired by the HiRISE camera are extremely high resolution and can be viewed in great detail on the high resolution displays. The Centre for Comparative Genomics (CCG) at Murdoch University in West Australia acquired a VisWall-9hd for high resolution visualization of comparative genomic analysis. The maps that are generated have incredible detail and benefit greatly from increased resolution display. In addition, the size of the display makes it ideal for small group collaboration. The Aeronautical Systems Center Major Shared Resource Center (ASC MSRC) at Wright-Patterson Air Force Base in Ohio is a premier HPC center that provides supercomputing facilities for the Department of Defense (DoD). The ASC MSRC acquired a VisBox-SX8 for their Scientific Visualization lab, providing users with a large screen immersive display system for scientific visualization within a compact footprint. 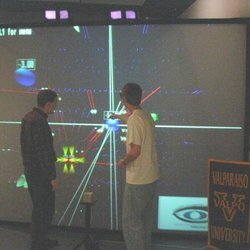 Valparaiso: Undergraduate Education The college of Engineering at Valparaiso University uses a VisCube C4-HD for their Scientific Visualization Lab. The group, headed by Prof. Jeffrey Will, has developed a suite of interactive 3D stereo visualizations for teaching complex topics in undergraduate education. 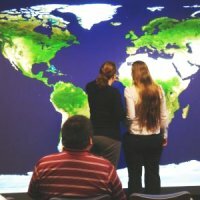 The goal is to introduce advanced visualization in the education of undergraduate students in all areas of science, technology, and mathematics. The work is supported by a National Science Foundation grant. 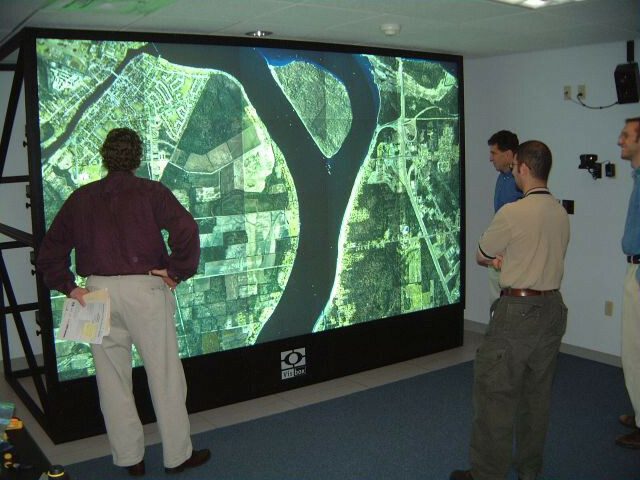 The NCSA Advanced Visualization Laboratory produces high-end data-driven scientific visualizations for outreach to the public. They have presented a sequence of 3D stereo HD movies using the VisBox-HD6 system at several prestigious venues including the National Academy of Science, the AAAS Annual Meeting, the National Science Foundation (NSF), and Supercomputing 2005, 2006, 2007. 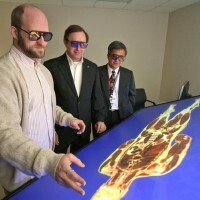 The Gigapixel Lab at Virginia Tech, headed by Dr. Chris North, is conducting research about the human-computer interaction (HCI) issues for large-scale, high-resolution displays. The Lab makes use of 18 VisBlock units that provide a borderless display with an aggregate resolution of more than 16 million pixels. 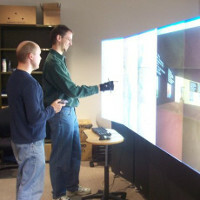 The display is reconfigurable, allowing researchers to test various display configurations. The School of Nursing at UAB and the Enabling Technology Lab at UAB are working together to develop a “Virtual Patient” simulator that makes use of the VisBox-HDT. The VisBox-HDT provides a 6′ wide reclining stereo 3D display, mimicing a patient bed. The Virtual Patient system (patent pending) will be used for a variety of medical education and training applications.